Today we can take our entire music collection with us wherever we go, because someone in the family has an iPod or iPhone. These devices have changed the way enjoy the music we love. But wouldn't it be great to get beyond those earbuds and share your tunes your friends and family? 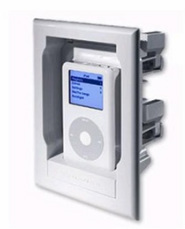 Here are a couple of great ideas for all you iCrazy fans that want to hear your favorite songs on your home audio/video system. That's right, want to use your iPod as a remote when you're cooking? We got an app for that! 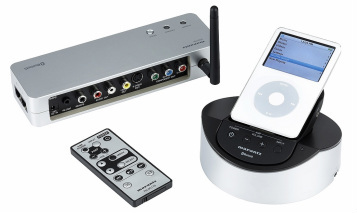 Marantz IS-301 Bluetooth transmitting iPod dock and remote control.